Dino (aka Liao Ming-He) is a guqin (an ancient stringed Chinese musical instrument) maker and noise performer based in Taipei. Once a bassist of the Clippers Band, he is a seminal figure in the second wave of the noise movement in Taiwan during the late-1990s. 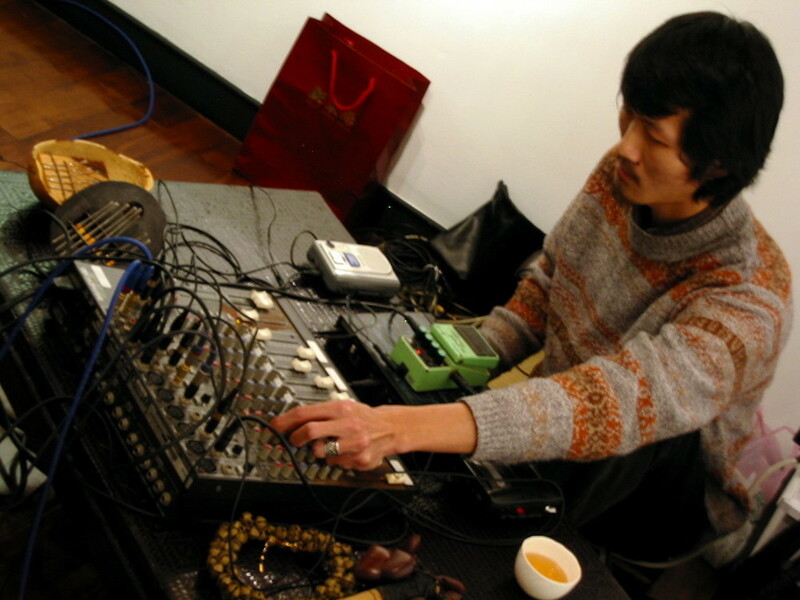 He uses simple analogue equipment to create electronic sound with no input, which is known as ‘recycle music’, by generating loops from circuitry noise, static, or microphone feedback. In recent years, Dino participates in experimental films and live music production for the theatre. He was awarded Best Sound Effects in Taipei Film Festival (2003). Dino is particularly fond of British punk subculture and traditional Chinese classics, of which the influence can be found from his works.